Add drop down menu in blogger you need is just a little bit of CSS and HTML code and put that code at the right place in your blog and done.Here is a list of 17+ Horizontal CSS Drop down menus.May exist between blogger friends who find difficulty in putting the CSS code in the template editing stages,for it to post this time I tried to give a mild solution of horizontal CSS drop down menus.adding drop down menus in blogger can benefit your readers to find out the intended Posts of the blog with ease.so lets start now introducing the menus one bye one, whichever you like just copy code and paste the code. Log in to Blogger, go to Design -> Edit HTML and mark the tick box "Expand Widget Templates"
That's Done! Hope this Post will be helpful for Blogspot Users. Do you want to know Where to get free backlinks? This is a free, fast, and simple immediate automatic backlinks for optimizing your blog or web page on search engines result.Everyone knows how important backlinks are to getting a good rank.Here, we offer a backlink for free and very fast for your sites. Copy the html code first (no change needed), and then paste to your website or blog.To view your backlink you can click the image link from your website or blog. And well... your website url done and will be displaying in first references.If any visitors click this banner from your website or blog, your url backlink will be creating automatically in this website.You can build backlink as many as you want, no limitation and restriction, but no spam ! Wish your website's ranking quickly on Top Google, Yahoo and Alexa! Optionally use this Widget installer to add this link to your blogger blog. * Please note:- After you paste the code into the website, please click on the button to create backlinks to your website. - If you remove the code from your website where your backlink will be deleted automatically. - if you know any free backlink info, please submit here, Let's share the free backlink list to everyone. It works great, but I am having a hard time changing the background colors. I'd like the background for all of the tabs (the standalone and drop down) to have the light grey background of the stand alone pages. I tried changing both the url in the code to a new url but the only change is for the drop down tabs. Other than that this menu works perfectly and I'd love to keep it. hey, bro thanks for this awesome bars but i wanna to make the buttons on right as iam blogging in arabic could u help me plz ? very nice bro but could i reduce the width of the tab and plz tell me how to do this ? Thanks a lot for sharing this nice post!You’ve done really excellent job! THANKS. Cn you help me with this problem. The options do not fall down on my blog. Help required SOS. Nice theme I'm gonna use it on my next site. I loved the layout and design of the site. Share it to each other is my current website and I am constantly conscious of it's design factor. Thanks. What to do if those drop down menus don't show?? i tried to change z-index, but no luck.. I just copy css & html "Sunrise Gloss Drop Down Menus"
thank you for the post..
thanks a lot for sharing this. It's awesome ,but having trouble with changing background colours... can i get a help... any way thanks..
How Can I add these to my website... ? Lovely tutorial! However I'm having some alignment problems. I want the menu to be across the whole page and the tabs to be in the middle of the menu. Please help me out! I still don't get it. I have tried almost every method available on the Internet but this drop down menu thing is not acceptable to my blog template. When I will change my template I will surely do this again. Will this code allow the ability to navigate on the same page? specifically to particular html gadgets? This isn't working for me. I got the gadget up..but I don't know what "link" to put for the drop down menu. That would be a search result on my blog for example "beauty" or "pets" right? These widgets would help many newbies to extract some new ideas for designs in drop down menu for bloggers.It seems to be very informative with ur widgets. THANKS BRO...MY BLOG LOOKS GREAT!! is this script just work on some templates, please give some advice which template match with this script. How do I get the spaces out. But will you give your css code because I saw your blog is very nice. I find this post very very useful. It's great.Thank for sharing. I have tried jquery slideshow but the menu dropdown is hidden (blocked by the slideshow). Does anyone know what to do with it? Hi, I have tried the dropdown menu but I still do not know how to edit my web html since I have no access to edit it. I am using b2evolution blog template. Please help. Its not working in Internet Explorer 8. The drop down menu hide behind the post in IE. Please tell me how to fix it? It's alway vertical. What am I doing wrong? Thanks for your information...this is nice blog's.. Thanks for posting, this is awesome! Why wont the drop down work? Can someone plz explain to me how to make it work?! I loved the drop down menu effect. gan cara bikin postingan biar bisa di tari itu gimana,..? I am going to use number 7 on my site. Thanks for the effort. Ever green post. Nice. This menus are very cute. Keep it up. nice article, my blogg need it, pembuatan blog become easy. Tutorial pembuatan dropdown blogspotnya lengkap banget ya.. I like that this website!!!!!!! Nice info. Very good for my blog. Hi the back ground color is not changing, Please help. I tried to use this code because the color of my menu is very different of what I wish it o be. Using any of this codes, it stays in the same grey color as the custom menu. What should I do, any clue? Wow thanks for doing all this and for sharing it. This has been extremely helpful. umm.. dude, i hope, i really hope you'd notice that the drop down menu number 15. Simple Black Drop Down Menus color turns out to be red.. yes, red.. not black.. Thank you. i got u. but i found a easy way by my self. i want to know about black links. Plz help me,I used your customize menu but When I clicking the custom tabs, it can't show the drop down list.What should i do...? hi...i tried alter the code myself but the drop menu become like this....any suggestion? Excellent blog, I like it. A lot of useful information. Thanks to the author. More on this topic thank you and Good day, everybody! thank you very much bos !,i so need this ! well drop down menu is hard for me. and what is Moksha yadav saying you getting backlink from us???? You cann't imagine just how much time I had spent for this info! Thanks! thank you very much for sharing this information i really need it..
Mantap artikelnya, thanks for share. Ini baru mantep tutorialnya..lengkap abisz !!! helpful. Many thanks for sharing! Nice explanation with great screenshots,,,,,very nice tutorials. him/her to pay a quick visit this blog, Keep up the fastidious job. Thank you for writing this information within your website. Thanks pal nice post i like the green navigation widget. It’s really a great and helpful piece of info. I am happy that you just shared this helpful information with us. Please stay us informed like this. Thanks for sharing. At a Global market place you will find multitude of places which would offer you array of services but we provides you professional services at an affordable rate. So, come and maximize benefits of your online presence and associate with us. It is very helpful information of integrating drop down menu and side in your blogs.I have decided to create drop down menu in my blog.Thank you for sharing your great coding of drop down menu. Go through along a get a thing or two about him. mine isn't working please see my page... i am using watermark template- could this be the issue? Great post about this. I'm surprised to see someone so educated in the matter. I am sure my visitors will find that very useful. Amazing drop down menu widget....!! i have a problem wit my drop down menu , it cannot expand so same contents are hidden .what should i do? Nice blog posts and articles. greeting, I have used your tutorial for a blog of mine and it is fantastic. Great work. But recently after google change the new look and I created another blog using the same drop drop menu it just doesn't work. the drop down tab hid behind the post. Any help appreciated. Ι've been browsing online more than three hours today, yet I never found any interesting article like yours. It is pretty worth enough for me. In my view, if all website owners and bloggers made good content as you did, the internet will be much more useful than ever before. so where can i do it please assist. finding your e-mail subscription link or newsletter service. Your 17 Drop down menus look very good. I have tried to implement the first one, I have entered the code in by hand. Is the background gif necessary, I don't understand why it links to your site. Can we just substitute something else? Google account. I look forward to brand new updates and will share this website with my Facebook group. Excellent blog you have here.. It's difficult to find good quality writing like yours these days. I seriously appreciate people like you! Take care!! paragraph is genuinely a fastidious piece of writing, keep it up. Thank you so much for this collection bro. Awesome widget! Keep it up. I enjoyed reading your blog with my partner. She loves the style and read so many fashion related news. I got your link from here. This is an excellent piece of writing. Regards Gan nice post I am glad that the green navigation widget. The drop down menu you provided are just awesome. I will definitely use then in my upcoming projects. Good work and keep it up. Thank you sharing this information thank you.Come back again for more interesting stuffs like one you got earlier! Cool tutorial i have found a website with good menu bars and other css designs you may like the designs. Added to my job and it worked fine. Great widget. Please share if you have similar. I really like "Grey Impression Drop Down Menu". It can give a technology based website, a more futuristic realism. Thank you for sharing those menus and detailed customization. useful stuff ,. Thanks for sharing this post..
to learn more about wordpress also. but anyways i will keep update your site for more free informative post. thanks for this post it helps me a lot. more, thanks for the advice! Awesome collection of codes and menus. It has lots of variations. Few of the menus are best for my entertainment websites. Keep up the good work. 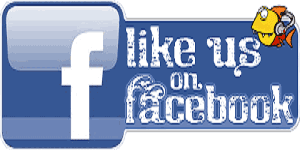 Great post, thanks for sharing..
Facebook Fans Become a Fan on Facebook Lets Follow Me'.! 22 Amazing Examples To Customize Blockquote Style In Blogger blogspot blog! Blogger New Feature: Share Button !! Create Extra Columns in your Blogger Layout - Magazine Style! How to Add Three Columns to Blogger Footer Section? how to upload a Blogger XML template! Copyright 2011 Blogspot Tutorial - All Rights Reserved.